Laser Skin and Wellness Clinic offers you a unique full promise on all laser hair removal packages of 10 treatments. We're proud to stand behind our service and skills and you can be confident knowing that when you buy a package of laser hair removal treatments here you can be assured you get the desired results *. We have complete confidence in our equipment, training, unique protocols and the experience of our technicians. Most clients are satisfied after ten treatments. But if you feel you need additional treatments when your package is completed you may come for more laser hair removal treatments at NO extra charge. 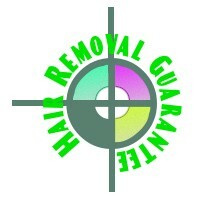 Receive up to 5 more treatments over the next two years if you still have hair growth. There are number of pricing methods used by laser hair removal Melbourne clinics to determine the cost of their procedures. Melbourne laser clinic based pricing on Flat Fixed Fee for body or face area. With Package Guarantee you pay for 10 treatments with 20% off a flat fee you guarantee additional 5 treatments at NO extra charge. There are three stages for hairs growing on human body: anagen (active growing stage), catagen and telogen (resting phase). In the active growing stage, the hair follicle is at its weakest as its closer to the surface of the skin and has the highest melanin levels, giving the highest photon energy absorption rate to destroy the follicle. However, in the second phase – catagen, melanin level in follicle is relatively lower and the root of the hair is deeper. These factors make it a little harder to treat and the most effective treatment outcome is achieved when treating hairs in the anagen stage. Hairs treated in the third resting stage of hair growth – telogen – show little or no reduction. The challenge with IPL hair removal treatments is catching all hairs in the active growing stage, therefore, IPL or laser hair removal cannot be completed in just one treatment. Patients will need multiple treatments in order to effectively reduce unwanted hair.